Blockchain technology - the data management tool behind the bitcoin cryptocurrency - could be a useful tool as the federal government prepares for seed-to-sale cannabis tracking. The technology that powers bitcoin could be deployed to track the flow of legal product in Canada's marijuana market without compromising the privacy of its customers. The Cannabis Act authorizes Health Canada to implement a national tracking system for marijuana — following the journey from seed to sale — to protect the integrity of the legal market. The challenge is to keep that information confidential in an age of widespread hacking. Bitcoin's cryptocurrency data is secured through blockchain technology — a decentralized way of storing information using blocks of verified data that build on each other in a linear way, like links in a chain. Because of the various stages of verification and the encryption used in a blockchain, it's almost impossible for a single user to alter, hack or remove information from the sequence. That's why it could be valuable to the cannabis industry as the Oct. 17 legalization date nears. As C-45, the government's marijuana legalization bill, slowly made its way through the two chambers of Parliament, questions abounded regarding the drug's regulation and how sales would be monitored. The government is demanding record-keeping to "help prevent diversion of cannabis; that is, the movement of both legal cannabis to the illegal market and illegal cannabis to the legal market," a spokesperson for Health Canada said in an email. 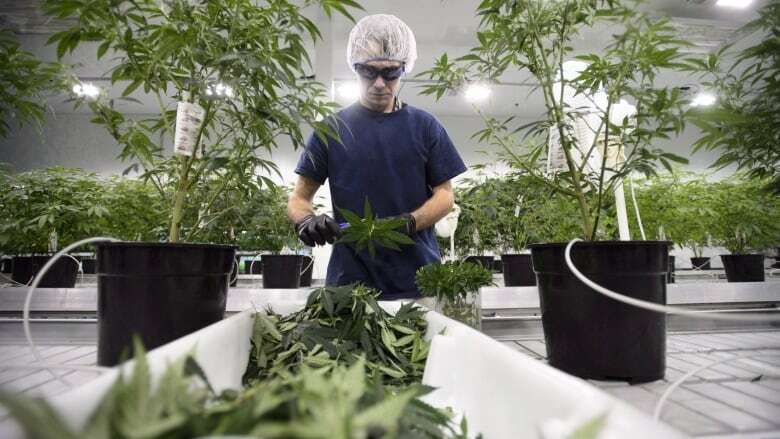 Any company authorized to operate in the cannabis industry, whether provincially or federally, will be required to file a monthly report detailing how much marijuana it grew, harvested, sold, destroyed, used for research purposes or lost to theft. "Relevant security measures have been taken and requisite precautions have been implemented to safeguard cannabis-related data," the Health Canada spokesperson said, adding that individual employees will be given specific training and will only be given the level of access to the database required for their positions. But at a time when hacking fears have gripped election agencies and social media titans like Facebook, a cannabis tracking system looks especially vulnerable — especially when many predict the cannabis market will bring in up to $7 billion in sales next year. Companies working with blockchain in the private sector say they see the potential for its use in the public sphere. The federal government agreed to some extent and has taken a preliminary look at using the technology. "Blockchain was considered, along with several other options, as a potential solution to track movements of cannabis throughout the supply chain," Health Canada said. However, the tracking system won't be launched on blockchain initially. Health Canada said the system made famous by Bitcoin could be a tool for the future, once there is a more established government standard for using blockchain. That's not stopping companies from touting its merits, or continuing to pitch it to Ottawa. Blockchain is "critical in this industry," said Mark Lozzi, CEO of PointChain. His company is working to develop blockchains for both cannabis companies and banks handling cannabis-related accounts, while also promoting the technology to government. By using blockchain, "the regulators won't be looking for a needle in a haystack" when searching for data breaches or signs of hacking, as the chain makes such problems immediately identifiable, he said. "We're going to be a lot more secure than anything that is not on the blockchain." One of the benefits of blockchain is that its security doesn't rest solely on one point or person, but on hundreds of nodes in the system that verify each transaction, said Matt Gold, a lawyer working with blockchain. Despite the arguments for its use, the technology isn't without risks. Because it's relatively new, blockchain's weak points are largely unknown at this point, said one expert. "So no one has cheated yet, which is the good part. But when someone does, it will all collapse." Technologies like blockchain evolve quickly, making it hard for governments to enact legislation to keep up. Currently, there's no set plan for oversight or regulation of blockchain-style technology — meaning there are no proven solutions for potential problems with the technology. That makes it challenging for a government to adopt it in its current form. Lozzi acknowledged that a lack of public understanding of blockchain's implications, good and bad, has been a challenge for his company. Even with the potential risks, Eltis said the federal government should take a closer look at blockchain as a policy tool. "Blockchain has tremendous use," she said. "It's important to have a really sober look at it."